JMZ Property Management uses the nationally recognized MARK Z. Home Selling Team to market the properties they list for lease in Metro Detroit. Our on-going marketing campaigns generate over 200 tenant leads a day. Our thorough screening process is the reason we have far less evictions and problems collecting rent and keep your property occupied for longer periods of time. We have on-call maintenance staff available 24/7 should your tenants have the need for an emergency service call. We collect rent, send demand notices for late payments, and ensure you remain fully informed of the collection process. We perform annual inspections if necessary (Inside and outside) on a predefined schedule and send our owner periodic reports on the condition of the property when repairs are needed. We provide monthly cash flow statements as well as annual reporting, structured for tax purposes as well as required tax documents including a 1099 form. We file relevant paperwork to initiate and complete an unlawful detainer action, coordinate with an attorney for legal representation in court and coordinate with law enforcement to remove tenant when necessary. We understand and abide by the latest local, state and federal legislation that apply to renting and maintaining rental properties and advise our owners in the event of a legal dispute. Residential property management can be time-consuming, especially when you aren't physically close to the location of the property. A local property management expert is the best solution for efficient and customer-centric contract execution, property showings, fee collection, legal issues, maintenance, and management of the general day-to-day needs of tenants. We cover Oakland, Wayne, Macomb, Washtenaw, and Livingston counties, which include the cities of Novi, Plymouth, Bloomfield, or Birmingham and the surrounding Detroit metro area. The more exposure brought to your property, the more likely you are to find qualified tenants for your property. We provide more than excellent customer service; we also offer an unlimited marketing budget. As an added value we use virtual tours on every home we market so prospective tenants spend more time viewing your property instead of that of your competition. Every competitive edge matters in this market. JMZ Property Management uses a powerful online management software system that allows us to provide you with unprecedented service and transparency. No longer will you wonder what is going on with your portfolio. Our online owner portal gives you real-time access 24/7 through any web browser. We manage the entire process from leasing and management to maintenance of your property. All you have to do is relax and let us take the work out of being a landlord. With a 24-48 hour turn around time on communication, we give you the peace of mind that both you and your tenants will always have the best level of customer service available to you. 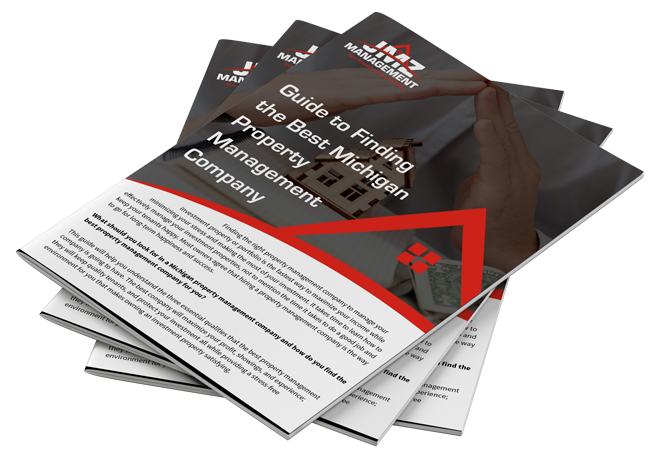 This guide will help you understand the three essential qualities that the best property management company is going to have. I began using JMZ management to manage my investment properties over ten years ago and continue to use their services. I continue to be pleased with their organisation, diligence, and responsiveness both to my (landlord) and tenant's corners. JMZ puts my mind at tease when it comes to all issues that arise with the properties, and "'d recommend using their services. JMZ has done multiple jobs for me at my commercial building for Keller Williams. I am having them quote another job right now. They are fast, good and reasonable. I can't recommend them enough. Dena was great to work with. Simply amazing. Everything I asked for in my new home she requested. Dena and her team have been very accommodating, patient, and kind throughout this process. I appreciate them so very much and I cannot wait to move into my new home. I highly recommend working with them if you are in search of a new home or if you are looking for someone to manage your property as they will go above and beyond for you. I cannot express how grateful I am to Dena. Tremendous group of people who are just so helpful and knowledgeable! I highly recommend them to anyone looking to lease or manage out investment properties! My experience dealing with Kim James from the support team has been incredible from the moment I moved into my rental home. She has been extremely patient, fair, and incredibly compassionate in answering any questions and treating me with hospitality I am accustomed to. It was a pleasure to speak to her from time to time. She is a keeper! This company was wonderful to rent the home my family lived in for two years before purchasing our own home. Especially the move out process, It went so smoothly. I highly recommend using JMZ Property Management and Ms. Kim James especially is a true professional. JMZ is a full-service property management firm. Did you know that our company also invests in real estate? We take good care of our tenants, so we know how to take good care of yours, too. We will always manage your property with the same care as our own from tenant selection to move-out coordination, and everything in between. We understand that owners sign management contracts to relieve the burden of managing a property. It can be a lot of work if the right systems and efficiencies aren’t already in place. We have had the time to build those efficiencies and create a management process that frees you to enjoy the revenue from your property without the stress.